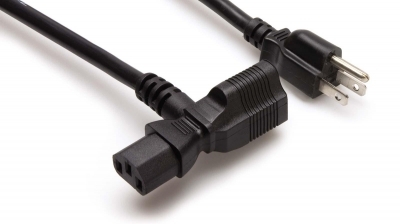 This cable is designed to daisy-chain electrical appliances with IEC C14 inlets. It is ideal for use inside server enclosures and behind equipment racks. We've also found that this cable adapter works beautifully in conjunction with powered speakers. The IEC end will power your speaker, and the Edison out provides power to another AC item, such as our wireless speaker systems.